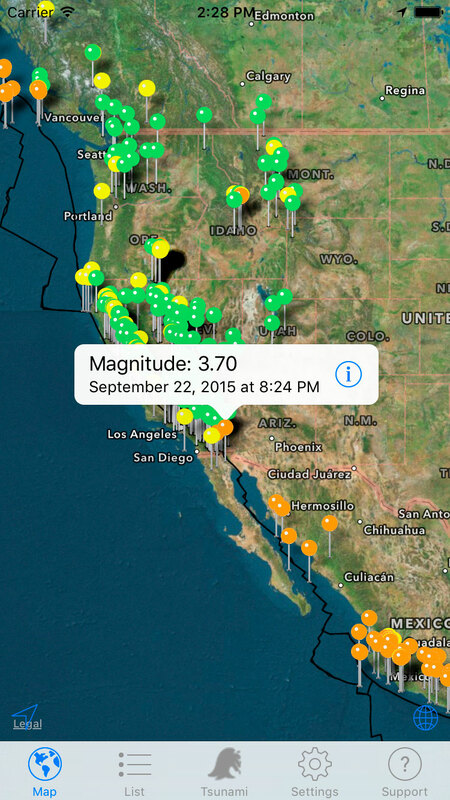 Track and follow earthquakes from around the world. 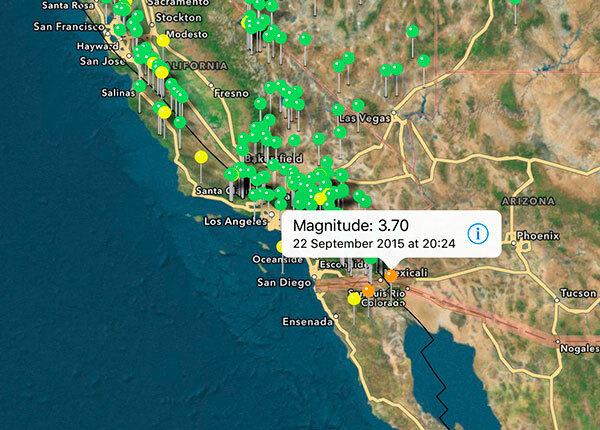 Get complete information about the reported earthquakes over the past week from 13 agencies, it shows more than 2000 earthquakes. 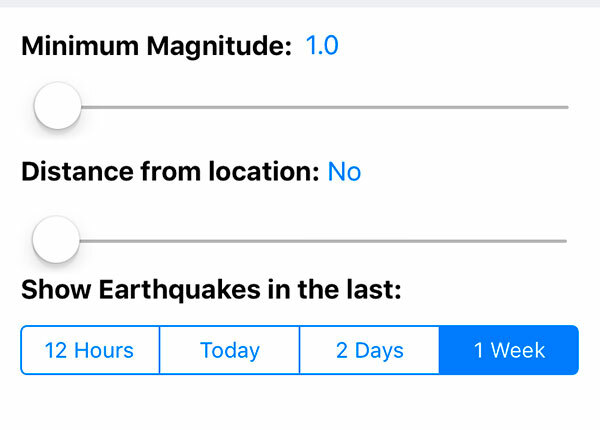 Includes a today extension with the last earthquakes and Apple Watch support with the last earthquakes and its details and get notifications and its details. 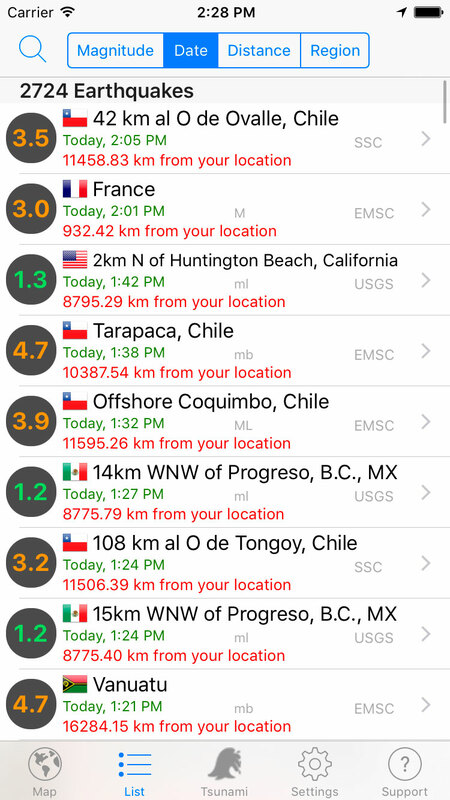 Live reports from USGS, EMSC (Europe), JMA (Japan), Servicio Sismológico Nacional (Mexico), Servicio Sismológico de Chile, Instituto Geográfico Nacional (Spain), GeoNet New Zealand, Natural Resources Canada, British Geological Survey, GeoScience Australia, USGS Hawai, Korea Meteorological Administration and Icelandic Met Office. 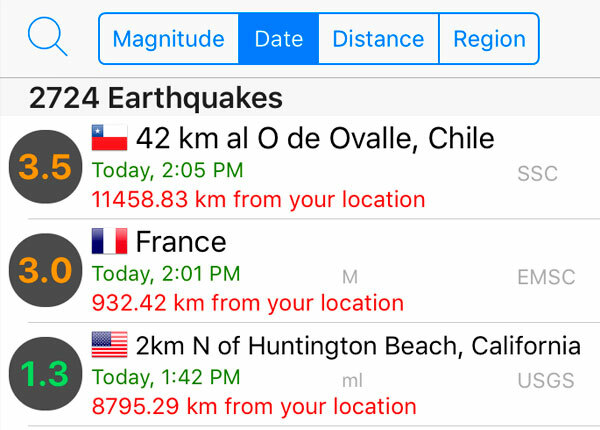 Sort the list by Magnitude, Location, date or distance from your location. 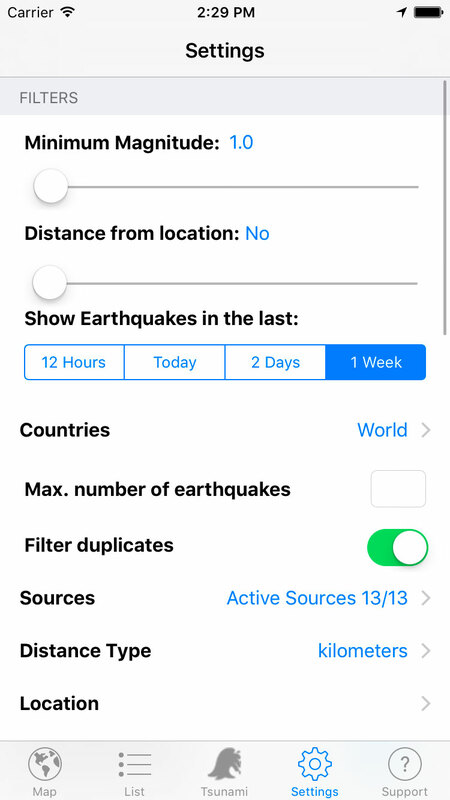 Search for earthquakes by country, magnitude, region, source… Filter earthquakes by Time: from 1 week to the last 12 hours, by Regions or Countries. 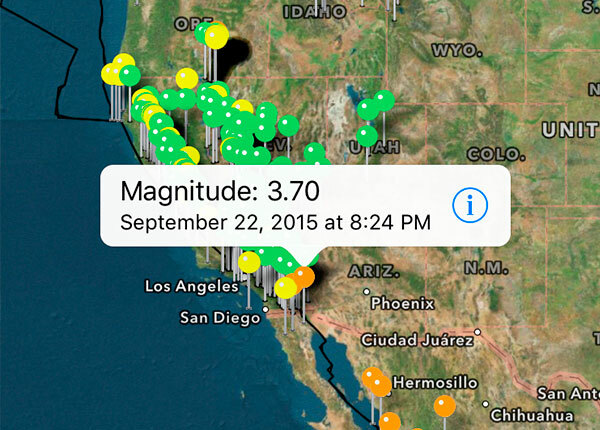 Also Filter the duplicate earthquakes from different agencies and filter by Magnitude, quantity or reporting agencies. 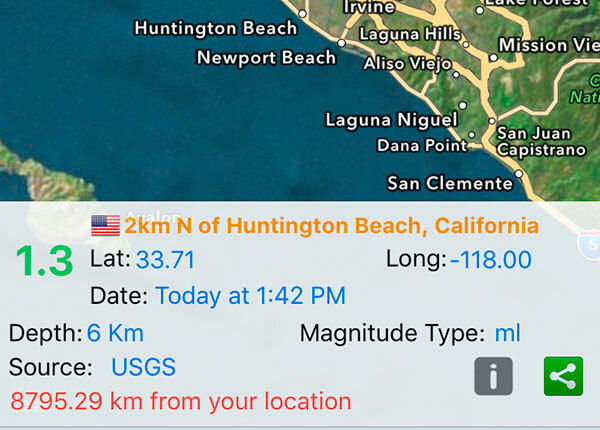 Real time push notifications of any earthquake over 4.0 magnitude, also you can block notifications in a time interval. 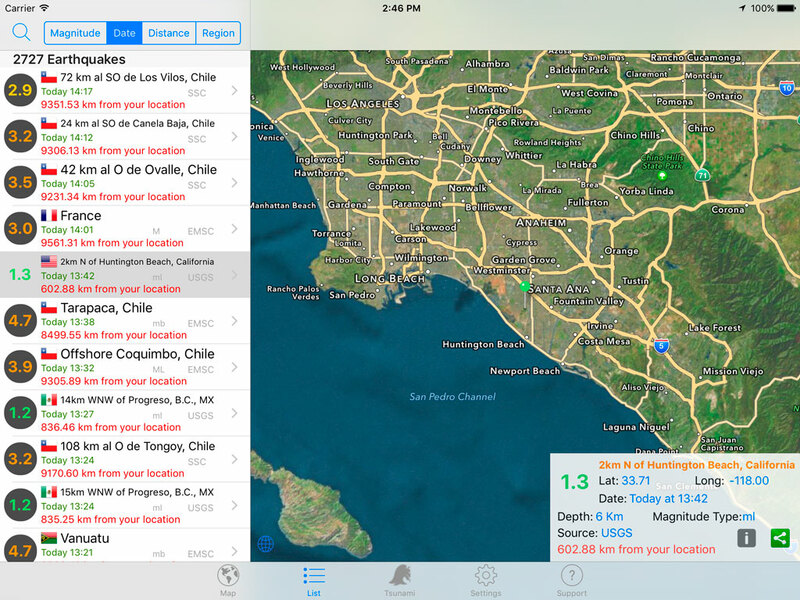 Receive notifications for earthquakes on a country or receive only notifications for earthquakes near your location. (500 Km or less). 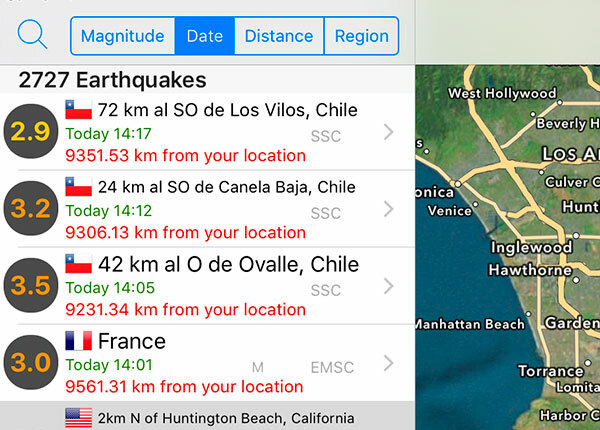 Share earthquake information and the map through email, SMS, Twitter, Facebook, Flickr, Evernote, Tumblr, Pinterest, Instagram, Vkontakte or OneNote. 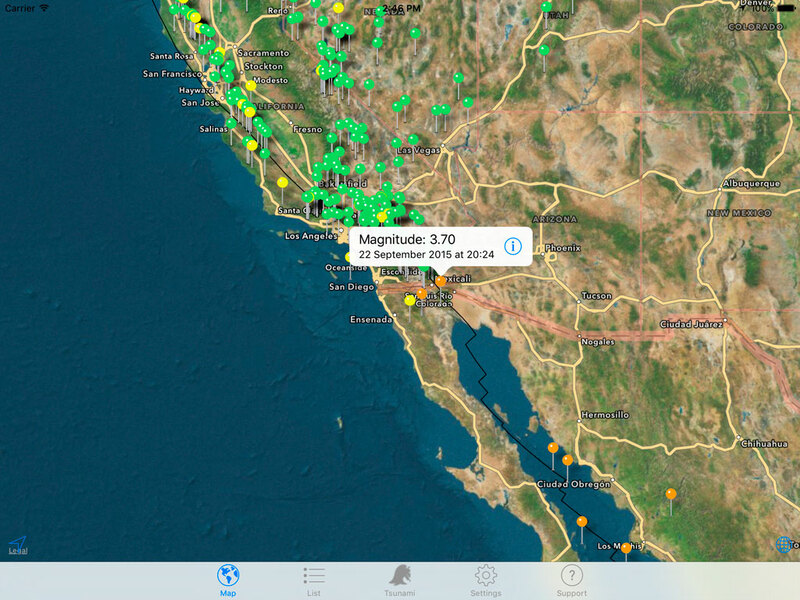 It show details like the magnitude, the exact location, the distance from your position, the source… Access full details of earthquakes in the web of agencies also the map shows the tectonic lines. • All times are shown in your time zone and format. Supports metrics and miles. The app is translated to English, French, German, Greek, Italian, Simplified Chinese and Spanish. 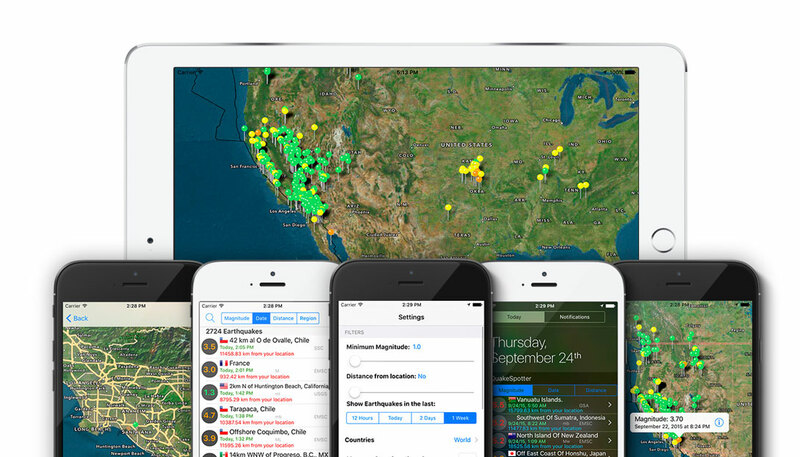 We are constantly working hard on making Quake Spotter better and more useful for your needs. Enjoy this amazing App with a lot of features.